ARC School of Ballet’s mission is to provide high-quality classical ballet training in an encouraging atmosphere, thus promoting personal growth and artistic self–expression. Contributing a wealth of knowledge to the school, the professional faculty at ARC are dedicated to dance education and instilling invaluable qualities in their students that extend beyond their dance training: self–confidence and discipline, respect, work ethic and a sense of tradition. ARC School of Ballet shares common goals with its resident professional dance company, ARC Dance, to provide opportunities for the public to explore the joy and beauty of dance. ARC School of Ballet offers comprehensive programs of exceptional quality to dancers of all ages and backgrounds.The variety of classes works to meet students’ varying interests in dance, ranging from beginning to adult education/fitness to the professional career bound. Arc School of Ballet and ARC Dance Company occupy over 9,000 square feet of the former Crown Hill School in the North Ballard/Crown Hill neighborhood of Seattle. Abundant parking surrounding the building is free and many Seattle Metro bus routes pass within walking distance. Marie Chong spent over ten years dancing and performing professionally with Pacific Northwest Ballet, Spectrum Dance Theater, Atlanta Ballet II, and Eugene Ballet. Since retiring from performing in 1995, Ms. Chong has been an active member of the NW dance community. 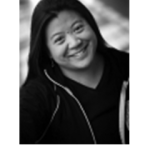 Ms. Chong is a ballet master, movement specialist, and coach. In addition to directing and teaching in her own dance school, she works with elite athletes, musicians, actors, and dancers to design individually tailored performance improvements. In 1999 Ms. Chong founded ARC Dance Productions, and in 2004 Arc School of Ballet (ASB) opened its doors. In the spring of 2013, ARC Dance Productions, associated with Arc School of Ballet launched ARC Youth Dance Company. It offers artistic and personal growth for dancers ages 11-20 years old who desire to further excellence in dance performance and further their knowledge of classical ballet-possibly aimed towards a professional dance career (or a college dance education.) 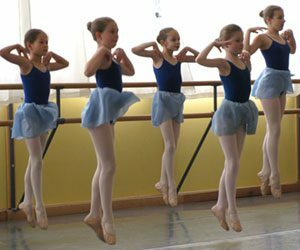 AYDC members are students enrolled in ARC School of Ballet (ASB) in the Intermediate 1 level or higher as selected by annual audition. ARC Dance offers three distinct scholarships for students training in our associated school, ARC School of Ballet. All scholarships are awarded on the basis of financial need and merit. Scholarships are granted for no longer than one academic year.